Sustanon - a synthetic drug with a long history. It was synthesized in the 50-s of the last century. Widespread that it received in the medicine. There used as a remedy for the progression and growth retardation. It is also often used as an addition to testosterone, namely, the maintenance of normal levels of testosterone between injections. As part of the present drug with additional testosterone esters, such as propionate, phenylpropionate, decanoate ester. The course of Sustanon is only recommended for adult men that have no health problems and have been admitted to receive a medical examination. The main objective of the drug - the best and fastest set of muscle mass. The course of the drug typically takes about 10 weeks. If the course has a duration much longer, then subject to the mandatory addition of course gonadotropin. From the second week of the course, it is recommended to start taking aromatase inhibitors. This will help avoid many side effects or reduce their consequences. Three weeks after the completion of the drug should begin after the course of therapy. As in many other cases, it carries out using tamoxifen. In addition, for greater efficiency, take sports nutrition course and respect the special sports diet is recommended. Like many other steroids, the drug can be used in the combined courses. For a set of mass muscle, most athletes use nandrolone. For drying and expressed relief, the drug is combined with Winstrol. This combination in both cases, not only improves the training and improve performance but also to reduce adverse effects. The initial dose of the drug begins with a mark of 250 mg every two weeks. The dose can be gradually increased. There are cases in which a series of professional athletes took a range of doses of approximately 2000 mg per week. A feature of the preparation is that in humans, can remain active on the order of 1 month. 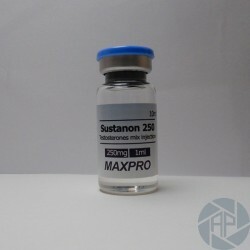 Sustanon - it is one of the medicines most important and Basic for a set of muscle mass and drying. It is equally well be used as a course in solo and with other anabolic steroids. In addition to bodybuilding, the drug has been used successfully in other sports, notably in the light and the heavy athletics, boxing. In addition to the growth of muscle mass, the drug can also increase their resistance. Muscular endurance increased not only because of the components of the composition of Sustanon but especially during the resort's reception with nandrolone or Winstrol. Compliance with all recommendations, including recommendations for sports nutrition, will also bring many advantages. Famous bodybuilders recommend coaches and athletes to eat the food that is particularly rich in proteins and hydrocarbons. In addition, as a result of the Suppression of testosterone production can move testicular atrophy. During the administration of the drug, many bodybuilders there is a significant increase in the temperature of body, weakness, and fatigue. Such a condition similar to a condition when a person is sick with the flu.